I so look forward to our Autumn KALS especially since we started working with the ever so creative, queen of the short row, Carol Feller! 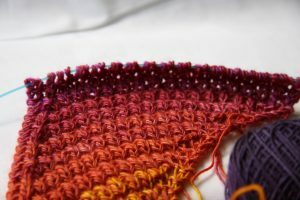 As I am sure I have said before I pretty much love just about everything that comes off Carol’s needles and am thrilled that she loves to work with my yarn! 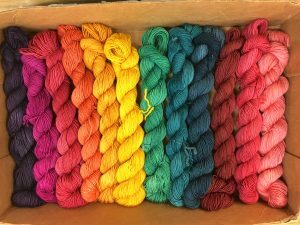 As soon as I held our Single Silk Targhee in my hands, when it waltzed in the dye barn door last fall, I knew I wanted to send it to Carol to see what kind of sweater goodness she would dream up. It’s a dream alright! 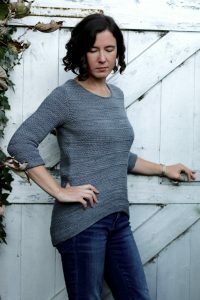 Luwan is a super textured pull-over with some really graceful sloping lines ( thank you short rows) that is going to be such a wonderful everyday kind of sweater! Our Single Silk Targhee adds the extra cozy factor to Luwan. I know some of us are a little wary of knitting garments out of singles because of the pilling aspect. Well, my knitterly friends that is why we made this one out of Targhee which is soft but not too fine and silk. 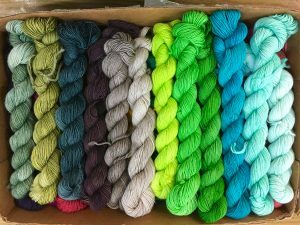 Targhee is a bit more durable that an fine merino and with the added silk you have a match made in fiber heaven. When we wash and dye it we full it a bit to add even more durability for and softness for wearing. You want this next to your skin!!! Because the Targhee has a bit more crimp and elasticity to it also makes Single Silk Targhee a single among singles! Carol was a little concerned about the singleness of our yarn so she gave her swatch to her boys to abuse and it passed their tests with flying colors!! 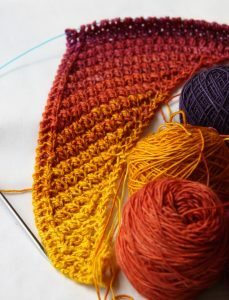 I hope you will join us in what s sure to be a fun knit and a lovely wear! 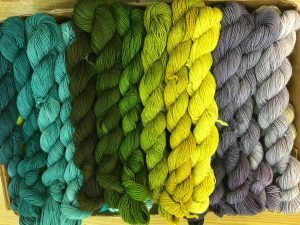 Because of all the texture Luwan will look good in just about any colorway we have even BeSpeckled ones! Please, oh please, someone knit a Heckley Speckley one. 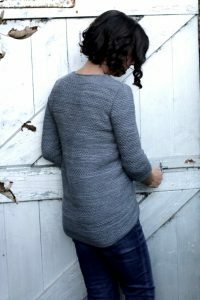 When you purchase the pattern from Carol she has a discount code that is good for 10% off Single Silk Targhee and Targhee Worsted. 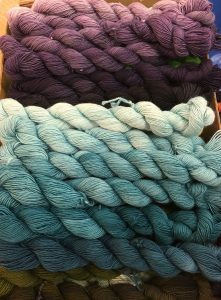 Since they are the same gauge we have added Targhee Worsted to the discount and knit option for this sweater for those of you that feel the need for a plied yarn. All that texture! So yummy!! 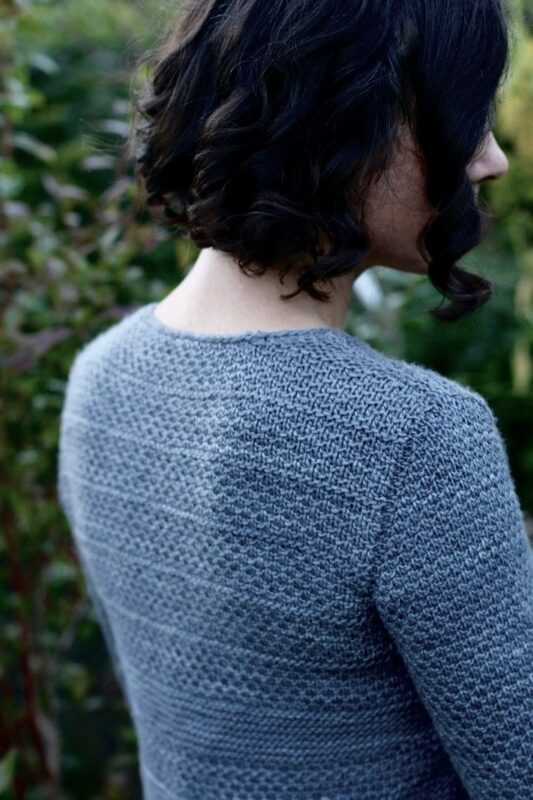 Carol knit her Luwan in our Deep Unrelenting Grey! What are you going to knit yours out of?? That is a whole lot of KAL joy but it is not all we have! My buddy Shannon and I have been brewing up a little color spell for you knit pleasure in honer of Autumn, All Hallows Eve and our super sassy witchy selves! Here’s a very small peek at Shannon’s Spell Shawl and the pile of kits I am putting together for it! You are so going to love this one! Also a whole lot of texture and using our lovely Featherlight! Another super wonderful single! I sense a theme!!! We will be casting our colorful spell on Wednesday October 12th!!! I am really going to need a few more hours in the day!!!! Okay before I go take boxes to the PO I wanted to mention that we are hiring. If you are interested in working with and awesme team creating all kinds of goodness send us an email at info@bluemoonfiberarts.com and I ‘ll send you the details! Have a lovely weekend. Some of you I will see on Sunday at the dye cauldron here in Blue Moon land!! !